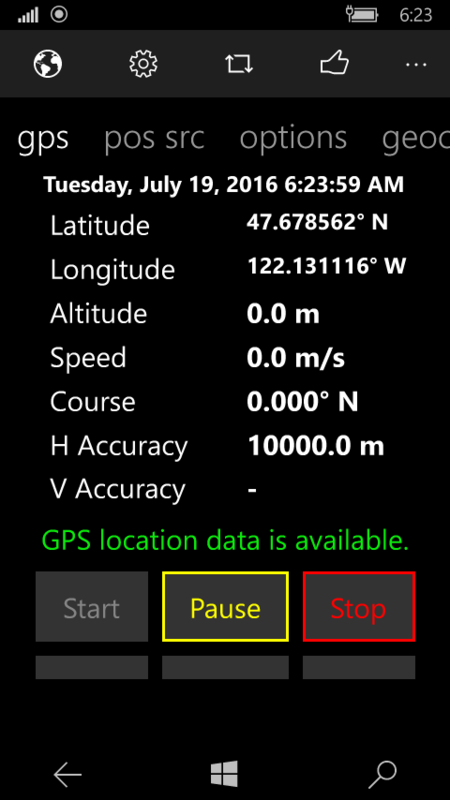 This page describes all the features of the GPS Satellite application. 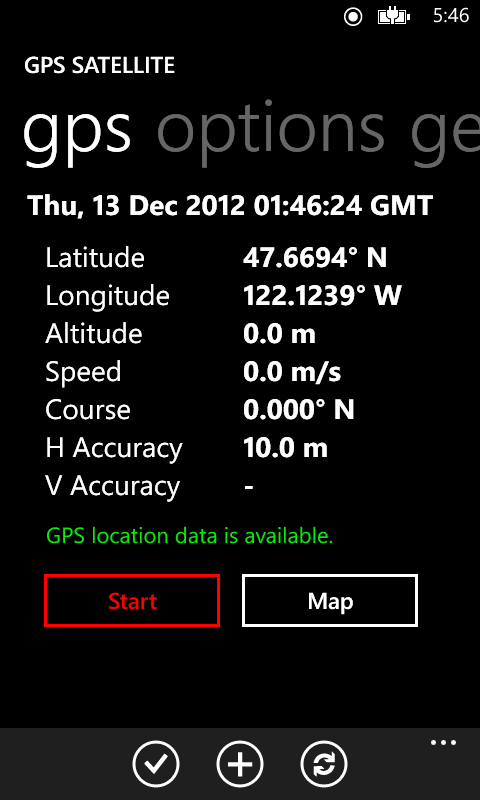 What is the GPS Satellite application? Displayed for your position: latitude, longitude, altitude, speed, course, horizontal accuraacy, vertical accuracy, position source (GPS, wifi, cellular, IP), position dilution, horizontal dilution, and vertical dilution. Supports decimal degrees, decimal degrees with direction, degrees minutes seconds, imperial, metric, meters per second, miles per hour, kilometers per hour, knots, and feet per second. 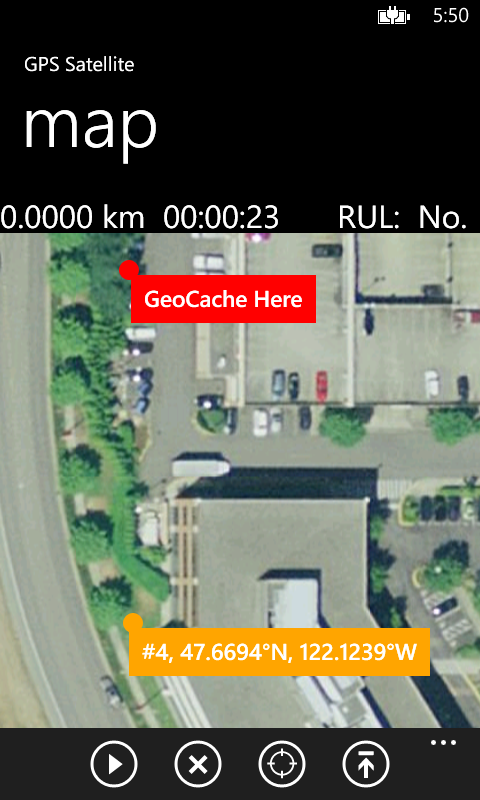 Three geocache locations supported. Small and large display. Text and map. Save and load positions. See track on map. Share to social. Guide included. Great for fleet tracking. GPS Satellite tracker looks like? Here is the new main screen UI on Windows 10 as a Universal Windows Program (UWP). 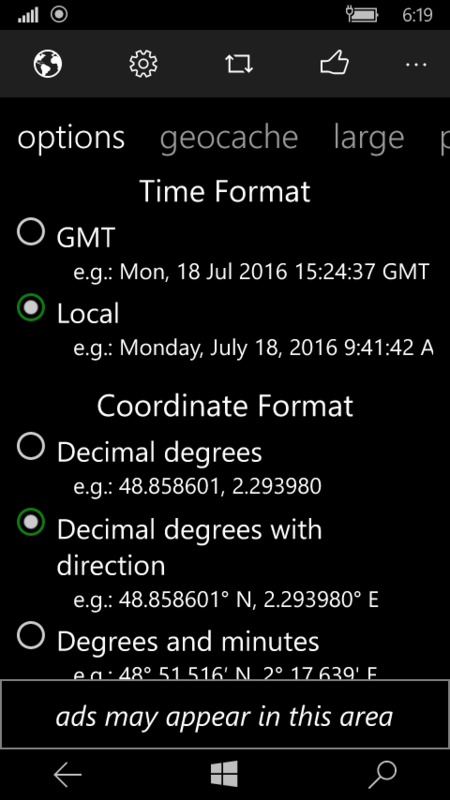 Per customer requests, we added showing local time in addition to GMT time. Here is the settings page showing how to select. This feature is available on Windows 10. Yes! Please let us update our website here with more screen shots and tutorials. 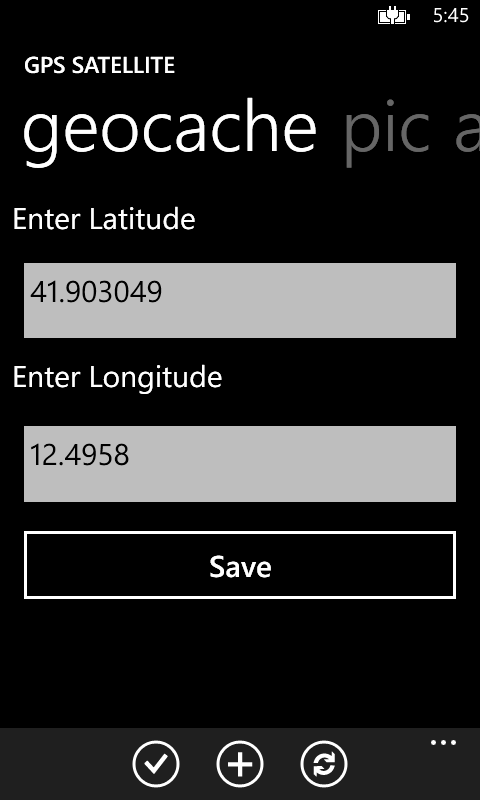 Here is the main screen for Windows Phone 8. Just press the Start button. Does the app have a ground track? 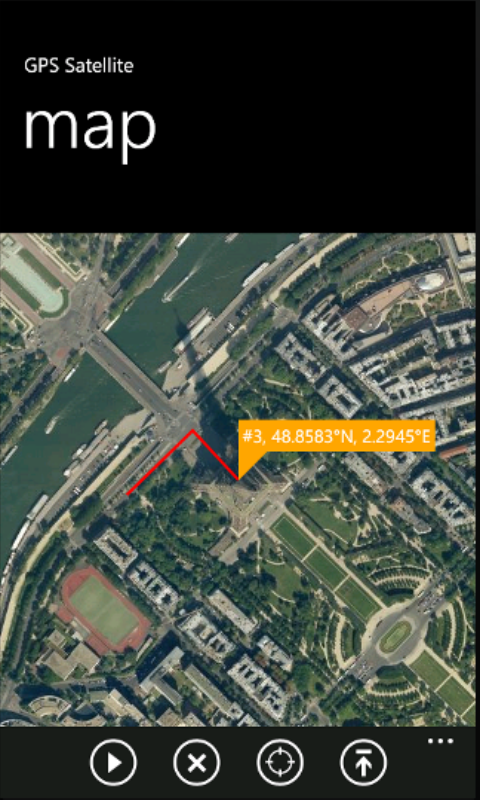 To view your ground track on the map, you press the Map button from the main page. Here you can see we are walking up to the Eiffel Tower in Paris, France. Here you see we are entering the location of a geocache on the geocache page. You can save up to 3 geocaches. Here on the map, you see both the geocache location and the current position. Click this button to get more details about how the application works.